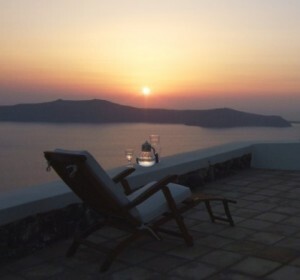 Dear Ileana, there are so many things to do on Santorini and some of them (our top 3 are the wine-tour, the Caldera cruise, and the Caldera walk) are not to be missed. On a three-day visit, the only thing guests would have time to do is sit by the pool and enjoy the view, so the four day minimum makes sense for guests! 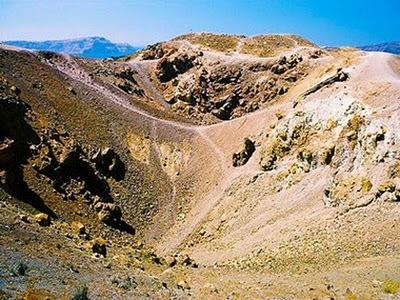 NEWS FLASH FROM FIVE STAR GREECE: The Minister of Toursim has announced that from 2013, the excavations will be open to the public. “Said is as good as done” is not a saying that originated in any Greek Ministry, but we can be optimistic! There are many wineries to visit, with some remarkable wines, especially the white and vinsanto, which are gaining recognition wordwide. We also have a lovely guide who does private, guided wine tours and wine-tasting – he is a winemaker on the island, and during the summer does excellent guided tours. Also, around the end of August depending on the year, they harvest the grapes and have festivals to celebrate,(“panigiria” ) with Greek dancing and music till early morning. Some time in late August, the HEPHESTIA festival is also staged – a firework exhibition over the volcano. Something to look out for. 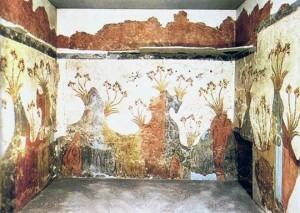 The ruins of Ancient Thira at Akrotiri are remarkable remnants of the Minoan civilisation; the only ones to be found outside Crete. 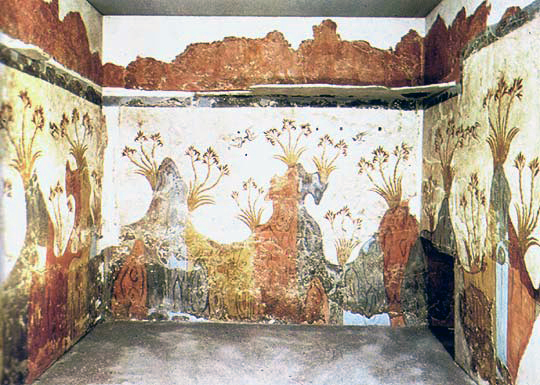 The 1967 excavations revealed an entire city, complete with squares, streets and buildings, sometimes three-storeys high, and with it pottery, artwork- including some extremely well-preserved frescoes – and a highly developed pipe and drainage system with hot and cold running water. At the moment the largest part of the site is closed for essential works, but there are a number of museums housing finds from the site to visit. There are a number of Museums narrating Santorini’s history and traditions, ranging from the Museum of Prehistoric Thera, to the Naval Museum and the Museum of Wine. A number of cultural spaces have been created over the past few years by the wealthy families on the island, where temporary exhibitions and performances are held. Vineyards and wineries are scattered across the island. Cultivation of the vines has been adapted to the arid climate, making local wines remarkable. A wine tasting tour of the island will definitely be worth your while. crannies all over the island. Other seasonal, fresh vegetables and Cycladic and Cretan specialties are brought in daily to complement local products, making the island an excellent culinary destination. 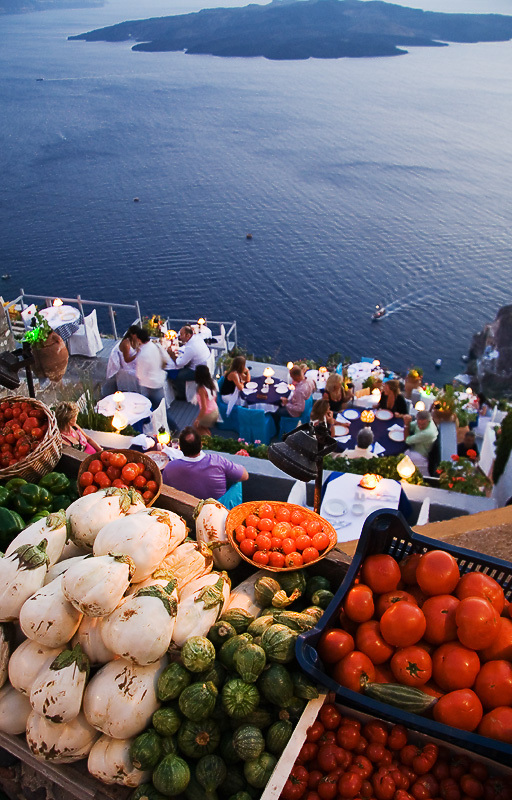 Whether you are looking for a traditional seaside taverna or a romantic nouvelle cuisine dinner for two, just ask your host. Discover the inaccessible parts of the Caldera and the surrounding islands, swim in the hot springs, snorkel and dive of the coast of neighbouring Aspronissi, visit the island of Thirassia for coffee, have lunch on board, and return home just in time for the sunset. There is a wide choice of vessels, catamarans, sailing boats, or speedboats, to choose from, all available for private hire. The local festivals are known as panigiria, and each village, as well as some of the more remote churches, hold their own on various dates around the year. Traditional dishes contributed by local housewives, live music, and traditional dancing are the norm, as the villagers come together to celebrate. Santorini being a wine-producing island, all stages of the wine-making process are also marked by such celebrations: harvesting the vine, pressing the grapes, and tasting the first wine are always joyous occasions, well worth attending. The energy of Santorini is remarkable – it can attract or repel, but the island will never leave visitors unimpressed. A yoga and meditation centre in the heart of one of the most beautiful villages hosts a variety of healers and teachers all year round, and offers different kinds of yoga and treatments. Yoga, and pilates mat & ball sessions, can also be arranged in-house, please enquire. Long walks in the island’s countryside or along the Caldera cliff will give you a chance to take in the breathtaking views, admire the spectacular geologic features and photograph the picturesque towns and extraordinary architecture that makes use of the volcanic rock and its properties. You can choose to be walked and talked through any of these aspects of the island, or simply escorted in silence. A truly local experience – mingle with the locals as they go out fishing on their fishing boats, and enjoy sunrise at sea. Ever since ‘Summer Lovers’ was filmed in Enigma Club in 1979, and Franco’s Bar was voted the best bar worldwide in the 1980s, the island’s nightlife has gone from strength to strength. Depending on your mood, our Villa host will happily have the best table reserved for you and ensure VIP treatment. Long sandy beaches, bare or lined with beach bars invite you to swim and sunbathe. From parasailing and wake-board, to banana-boats and tubes, the usual array of water sports is available to boost your adrenaline. Go for a trot on the long black-sand beaches, or in the Santorini countryside – lessons are also available. 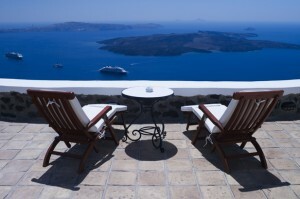 Santorini belongs to the constellation of the Cyclades, and is surrounded by a number of islands such as Mykonos, Crete, Paros, Naxos, Ios, Anafi, Folegandros. We will be happy to arrange an excursion to any of these by boat, or charter a yacht or helicopter, and you can choose whether to stay the night or not. Many thanks to Daphne – that should keep even the most ADD prone guest happy for at least a week! We’re looking to go to Santorini next year and this post has helped us gain a good idea of some things to keep us occupied while we’re there. thanks! !